LONDON — Financial markets on Monday brushed aside worries over the "WannaCry" ransomware cyberattack as well as another missile test from North Korea. Oil prices spiked higher amid growing speculation that last year's production cut will be extended into 2018. 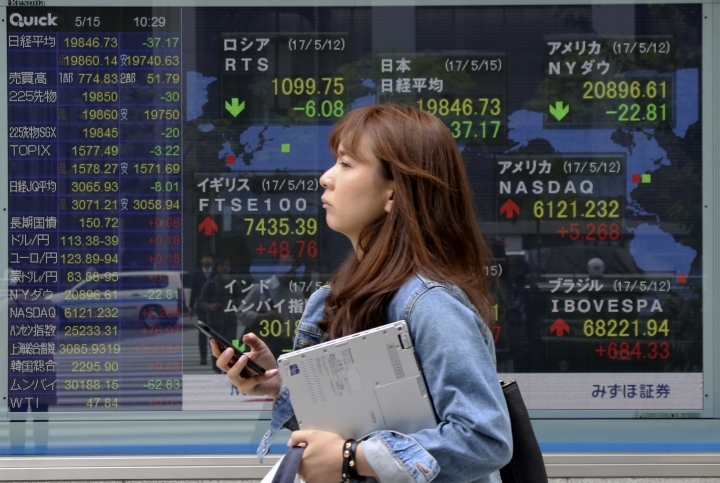 KEEPING SCORE: In Europe, Britain's FTSE 100 added 0.1 percent to 7,444, just short of its earlier all-time high of 7,460.20, while Germany's DAX fell 0.1 percent to 12,757, again shy of its earlier record of 12,832.30. The CAC 40 in France was 0.1 percent lower, too, at 5,401. U.S. stocks were poised for a similarly flat opening with Dow futures and the broader S&P 500 futures up 0.1 percent. CYBERATTACK: The global "ransomware" cyberattack, unprecedented in scale, had technicians scrambling to secure the computers that run factories, banks, government agencies and transport systems in many nations. Fresh troubles were reported Monday, but the scale of the impact from the effort to extort cash from computer users was still unclear. MISSILE LAUNCH: There was a similarly relaxed approach in markets to the revelation from North Korea that the missile it launched early Sunday was a new type of "medium long-range" ballistic rocket that can carry a heavy nuclear warhead. A jubilant leader Kim Jong Un promised more nuclear and missile tests and warned that North Korean weapons could strike the U.S. mainland and Pacific holdings. ANALYST TAKE: Risk appetite, according to Jane Foley, a senior strategist at Rabobank International, "has held up remarkably well given the list of bad news faced by investors." CHINA'S SILK ROAD: Chinese President Xi Jinping appealed to foreign leaders at a forum on a Chinese trade initiative to resist pressure to close markets. That followed pledges of more than $100 billion in financing during a gathering of leaders from 29 countries to promote the "Belt and Road Initiative" of developing ports, railways and other facilities in a vast arc of 65 countries. OIL PRICES SURGE: Oil prices rose on the announcement that Russia and Saudi Arabia want to extend oil production cuts through the first quarter of 2018, in a move the two major producers say would support the market price. The cuts, agreed at the end of last year, involved nations in the Organization of the Petroleum Exporting Countries and some non-OPEC countries like Russia. They have contributed to higher oil prices this year. On Monday, the benchmark New York rate was up 3.5 percent at $49.50 a barrel while the international standard, Brent, spiked 3 percent to $52.39. 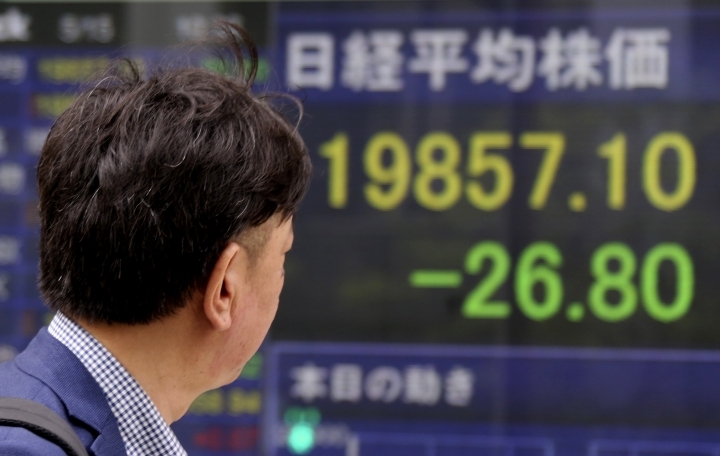 ASIA'S DAY: Japan's Nikkei 225 stock index slipped 0.1 percent to 19,869.85, falling back after early gains. Hong Kong's Hang Seng index added 0.9 percent to 25,371.59 and the Shanghai Composite index rose 0.2 percent to 3,090.23. Australia's S&P ASX 200 was nearly unchanged at 5,838.40. 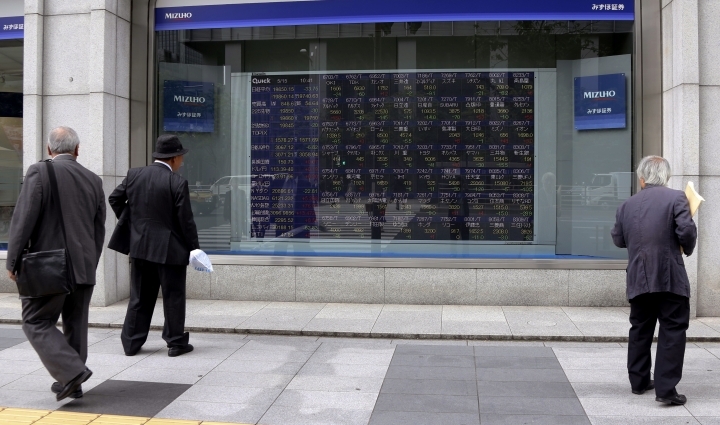 The Kospi of South Korea climbed 0.2 percent to 2,290.65. 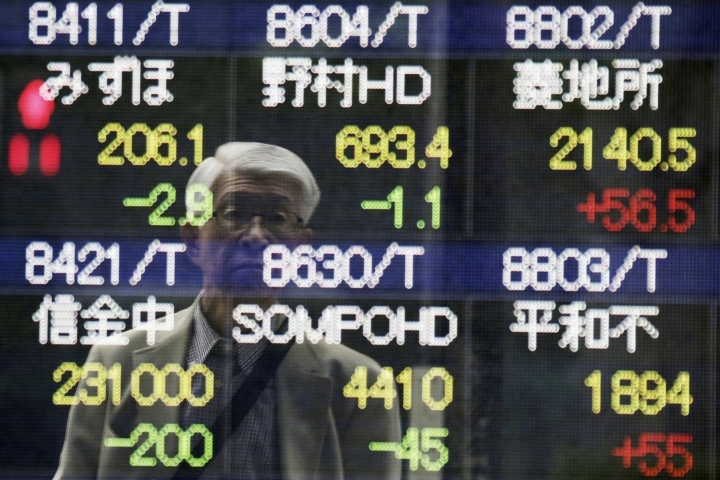 Shares in Taiwan and Southeast Asia were mostly higher. CURRENCIES: The euro was up 0.5 percent at $1.0979 while the dollar fell 0.1 percent to 113.31 yen.